Issue a blog challenge on your blog itself. Used to inspire back in the day. So here’s what I’m going to do: I’ll answer the four questions my colleagues answered in the previous post. I’ll give it a hashtag #teamteaching #blogchallenge and I’ll invite you to do the same. If you write anything, please ping back to my post, or tag me on Twitter or on Facebook. Let’s see if we get at least ten bloggers to take part. Q1: What are some of the benefits of team teaching? For me it always was learning from my colleagues, having more fun together, and sharing whatever we had to face in class. Teaching can be a pretty lonesome job and having a colleague is uplifting. Q2: What are some of the drawbacks? When the “team” part of the concept is dropped. I’ve worked with teachers who said: “I’ll do the even units, you do the odd ones,” and I never heard from them till the final testing. It was no fun. We had a whale of a time when Klára and I and a few other girls taught Czech intensive summer courses for the University of Pittsburgh. There would be a group of young American students, who were always awfully nice, friendly and eager to learn. I’m still in touch with most of them. Usually, there were two groups by level, each taught by one of us and the teachers would rotate. However, on Fridays we would put the two groups together and share the class as teachers. I remember we did a pub quiz on Czech culture, in Czech, of course (that was fun) and then the students would do a pub quiz for us teachers on American culture&civilisation. I always ended up losing (not fun!). One time we did drama – based on a Czech fairy tale movie (specifically, Lotrando a Zubejda) and that was just hilarious. So yeah, these are my fondest memories. Not right now, but if I think of something, I’ll add it later. Ahhh, so now I know the topic of your blog challenge. I can honestly say I have never done this type of team teaching or I’d share what I had experienced. For years I have shared the same students with different colleagues who taught them on different days, but they taught entirely different courses to mine, so not exactly the same definition as you describe. We get together informally and formally to discuss the shared students in our classes, but never a continuous flow from my content to theirs to mine, per se. Thanks for responding anyway, Tyson. I believe collaborative teaching has many faces. I hope to hear lots of different stories in this challenge. Cheers! Oh me too. Interestingly, I’d say collaborative teaching is an umbrella term, where team teaching is one specific type that falls into it. 1. Sharing success, fun, joy, disappointment… just everything. Sharing is double joy and half of failure. 2. Personal development of the teacher, I can learn from my colleagues but also cultivate my sense for patience and cooperation, strengthen my courage to teach „visibly“ etc. Hi Jitka, thanks so much for your thoughtful responsed! It is great truth that you cannot change anybody if they don’t want to. I hope your cooperation with a new colleague is fruitful! It is, as far as I know, the first copperation in the freelance world. K.
Online teacher for IELTS and Cambridge exams (KET, PET, FCE), by WizIQ email, Skype or Google. 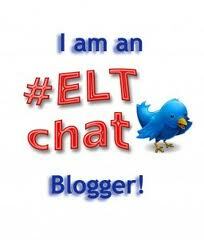 Occasional musings and rants, mostly about English teaching. Develop your knowledge and practice.